We invested in the Galileos 3D Cone Beam Scanner because X-rays don’t show the depth of hard structures in the mouth. We can detect the smallest details more safely. “X-rays lie.” Although many dentists would disagree with this statement, Dr. Cole believes this to be true when relying only on a traditional 2-dimensional x-ray to diagnose common dental problems. This is the chief reason why our office invested in the Galileos 3D Cone Beam Scanner. Standard x-rays only record the height and width of hard structures, but not the depth. Using the Galileos cone beam scanner, we are able to capture intricate details in a shorter amount of time, exposing our patients to far less radiation than is emitted by conventional two-dimensional x-ray imaging. 3D imaging utilizing cone beam technology is more akin to CAT scan imaging. The capabilities of cone beam imaging are far superior to conventional x-rays, giving us the opportunity to better serve our patients’ needs through precise diagnostics and planning. The high quality of imaging that is possible with the Galileos comes from the measurement of volume. To gain the best data, we can set the Galileos machine to provide us with panoramic, transversal slice, and cephalometric views. 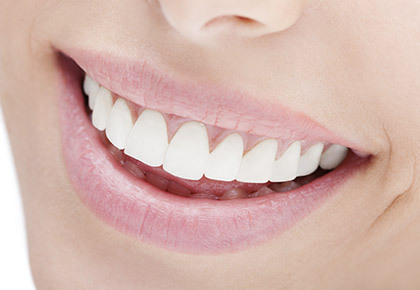 The precise views captured with cone beam CAT scan imaging provide us with the ideal view of all areas of teeth as well as the roots, bone, joints, sinuses, and airway. The clarity of imaging allows us to see imperfections and defects, as well as the various structural details of bone tissue in the jaw. The panoramic and dissected views we obtain from this state-of-the-art imaging equipment provide the level of clarity that leads to optimal treatment of infected root canals, and aids in the planning process for dental implant surgery. 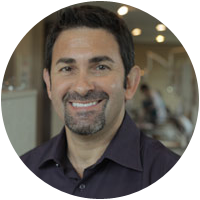 In our dental office, the Galileos is used to facilitate computer-guided implant treatment, leading to precise placement and an expedited procedure, as there is no guesswork involved in the most desirable position of implant posts. Dr. Cole surgically places implants in select cases, always incorporating this technology for computer-guidance. We provide the best possible care for our patients by utilizing proven technologies. To learn more about our services, contact our office at (512) 472-3565.